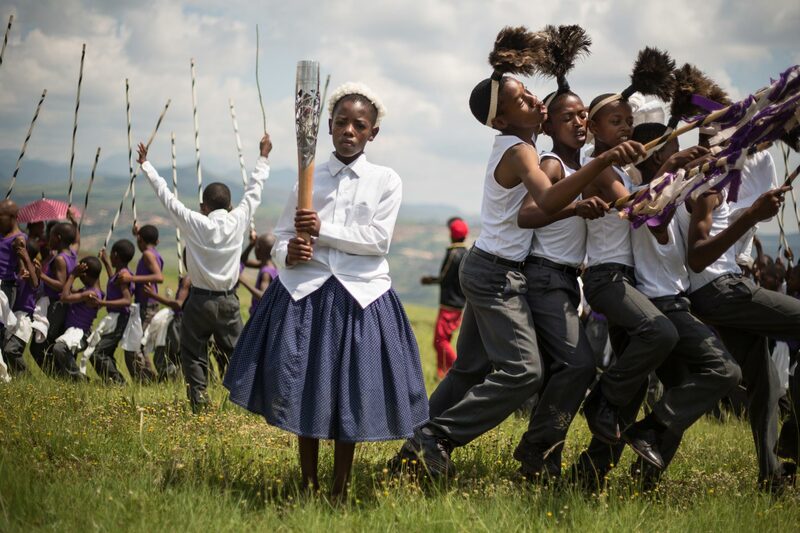 The Queen's Baton journeyed out of Maseru to mountains known as the 'roof of Africa' where it included in cultural performances by schoolchildren, in Lesotho, on Sunday 9 February 2014. Lesotho is nation 38 of 70 Commonwealth nations and territories to be visited by the Queen's Baton. Photograph by Jeremy Sutton-Hibbert, copyright © Glasgow 2014 Ltd, 2014.